As I previously reported he likely would, top Yahoo exec Ross Levinsohn — who lost the CEO race to former Google exec Marissa Mayer — is leaving the company, according to several sources. Mayer also just sent a note to the company about the departure, added a multitude of other sources across the company. (Update: Yahoo just filed regulatory documents about the separation, noting severance agreements that total many millions of dollars. Levinsohn, who took over as interim CEO in the wake of the ouster of Scott Thompson earlier this year, had been running the Americas unit of the Silicon Valley Internet giant. That put him in charge of key Yahoo businesses, including its media and advertising sales divisions. Levinsohn and Mayer have been negotiating his exit for several days, sources said, which is not surprising given the awkward circumstance between them. While Mayer might have benefited from Levinsohn’s close ties with key marketing players and his content experience, her intense focus on products and not on media likely means that she will rely on a more tech-heavy leadership team going forward. It will be interesting to see who she picks going forward. As I previously reported, many think she will pull from the ranks of former and current Google execs, where she worked for her entire career before Yahoo. Levinsohn does not apparently have any current plans for another gig, but as an experienced and very well-liked online media exec, he will likely have many options. He came to Yahoo in late 2010, replacing Hilary Schneider, in the regime of Carol Bartz, who was later fired. Levinsohn arrived at Yahoo from Fuse Capital, where he worked with Jon Miller — now chief digital officer at News Corp. — in funding digital media and communications start-ups. But, until his Yahoo job, Levinsohn was probably best known for his stint running digital operations for News Corp.’s then Fox Interactive Media unit. It was at FIM that he rose to prominence after he bought Myspace, the social networking site that was once the hottest property on the Web. At the time, Levinsohn and other execs also struck a gigantically lucrative advertising search deal with Google that garnered Myspace huge revenues. After leaving News Corp. — after repeated clashes with Myspace co-founder and then CEO Chris DeWolfe — he partnered with Miller in another investment company, Velocity Capital. Ironically, both Miller and Levinsohn were the top choices of billionaire shareholder activist Carl Icahn as the execs he wanted to run Yahoo when he was agitating for change there a few years back in the midst of the failed takeover attempt by Microsoft. Fast forward several years, with Levinsohn losing his shot as CEO of Yahoo, after yet another hedge fund manager — Dan Loeb of Third Point, who waged a Yahoo proxy fight that ended in him getting seats on the board — strongly backed Mayer for the job instead of Levinsohn. Levinsohn never had a chance against the tech-star resume of Mayer, of course. 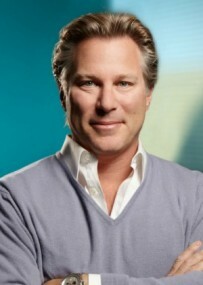 But, for his time of taking over Yahoo after the crisis around the ouster of Thompson over a fake computer science degree on his bio alone — a rocky period for the company, to be sure — Levinsohn probably deserves a lot of kudos from Yahoo’s board. Ross has been an important and powerful contributor at Yahoo since he joined in 2010. During May and June, Ross stepped into an incredibly tough role as interim CEO and did a terffic job — he really helped keep the company moving, closed important deals, and assembled a very talented team. I am very grateful to Ross for his leadership and work throughout his tenure at Yahoo. His contributions will be missed.